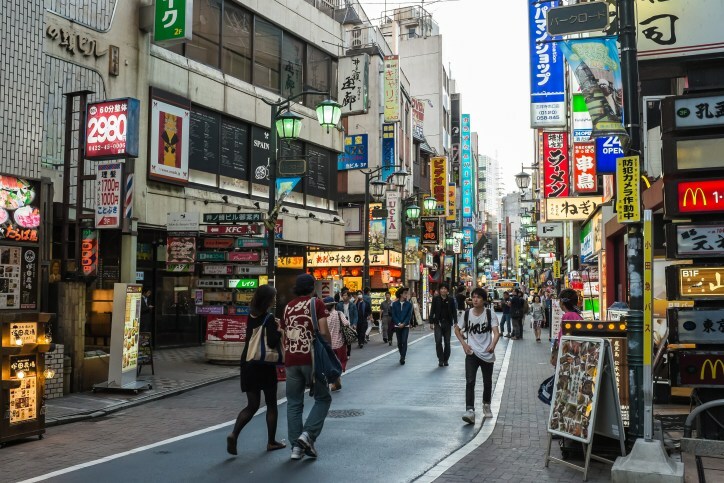 Tokyo counts as one of our favourite travel destinations here, and the first things that come to mind are the wonderful shopping and delicious Japanese cuisine. Just as iconic are famous Tokyo neighbourhoods such as Shinjuku, Harajuku, Shibuya and Ginza. 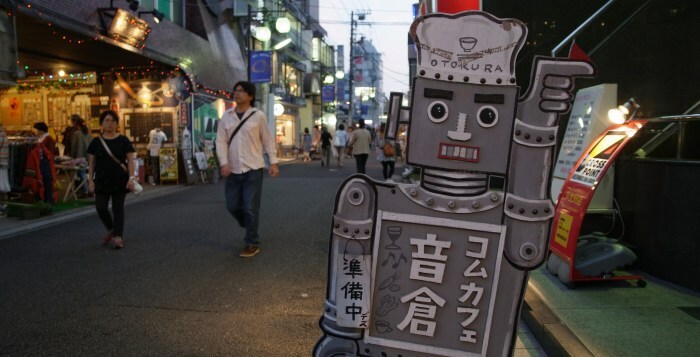 Japan’s capital city, however, is much more than those popular tourist spots. We’ve identified some of our favourites, leaving out those that most travellers have heard of. One of the most up-and-coming neighbourhoods in Tokyo, Shimokitazawa is currently one of the hotspots for youth in Tokyo – it’s both happening and laid back at the same time. 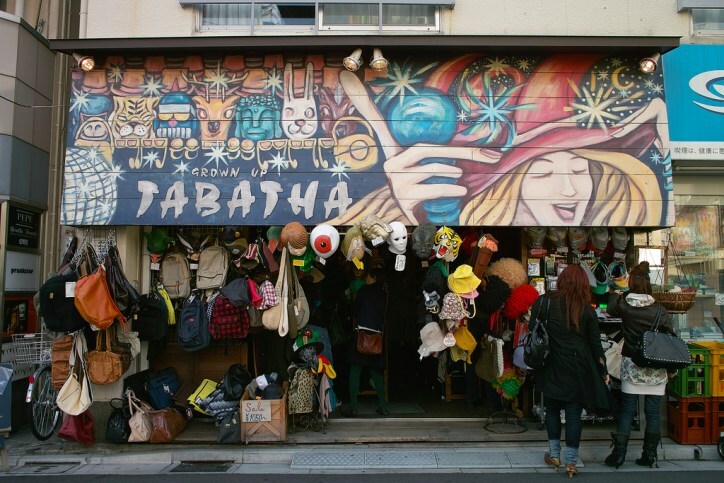 Comprising numerous cafés and hipster shops selling unique fashion, walking through its streets reminds one of the more famous and popular Harajuku. However, Shimokitazawa is our preferred destination due to its charming narrow streets and artistic vibe. Keeping up to its image as a centre for the arts, music and theatre performances and are also a mainstay in this neighbourhood located in Western Tokyo. Kichijoji is a big hit with the locals, and has a reputation as one of the most desirable residential neighbourhoods in Tokyo. One of the highlights of Kichijoji is the beautiful Inokashira Park, which is an ideal spot for viewing cherry blossoms in Spring. The body of water here is also the source for the Kanda River. The shopping scene in Kichijoji is always bustling, and there are many shops worth exploring in the streets around the main sheltered area next to the train station. Visit on a weekend and you’ll spot many Japanese youths hanging out in this hip neighbourhood. With a quaint park at one end of the district, and a bustling shopping scene at the other, Kichijoji is great for both kicking back and doing some serious shopping. Talking about quaint Tokyo neighbourhoods, if you prefer somewhere quiet and away from the hustle and bustle of the city centre, then Tsukishima might be the place for you. Time seems to slow down in Tsukishima, a reclaimed island just outside of the main Tokyo city centre. 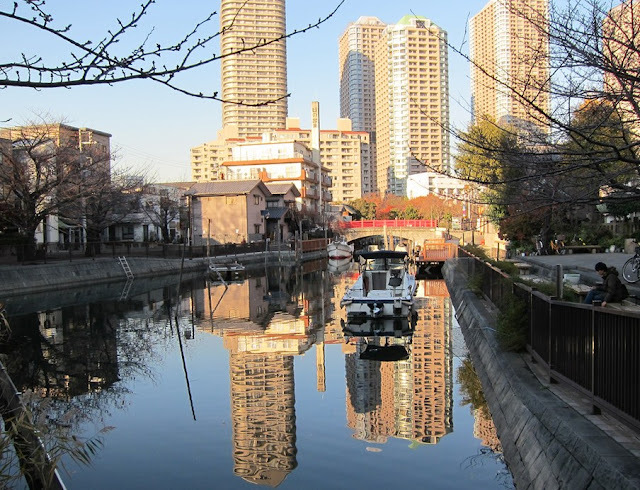 With a blend of old world traditions and modern skyscrapers, visitors to Tsukishima can slow down from the normally fast-paced Tokyo lifestyle, and slowly unwind. If that isn’t good enough for you, Tsukishima is also the birthplace of the legendary Tokyo dish – monjayaki, finely cut ingredients pan-fried in a light batter. It’s pretty similar to okonomiyaki. Having a meal here is reason enough to visit this island neighbourhood. On to another island neighbourhood – Odaiba, a man-made island in Tokyo Bay. 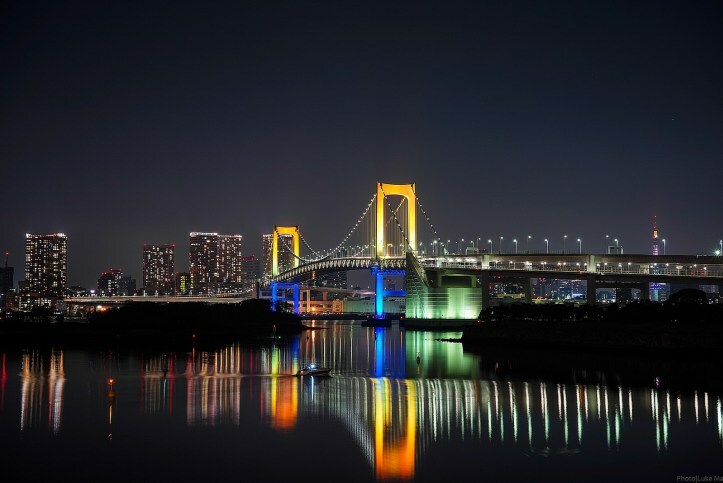 Fronted by an iconic view of the Rainbow Bridge linking it to mainland Tokyo, Odaiba is a popular shopping and sightseeing neighbourhood, well loved by locals and tourists alike. Offering an unparalleled view of the Tokyo waterfront, Odaiba also holds one of only two beaches located in urban Tokyo. The other distinct landmark in Odaiba is Daikanransha, a 115-metre tall ferris wheel that was the world’s tallest when opened in 1999. Onsen lovers can check out Oedo Onsen Monotagari Hot Springs here as well, it’s one of the more famous onsens in Tokyo. Other attractions include the distinctively designed Fuji Television building, Miraikan (Japan’s National Museum of Emerging Science and Innovation), a replica of the Statue of Liberty and much more. Named after the legendary Japanese beer, Yebisu, this stylish neighbourhood is only a couple of stops from central Shibuya, without the crowds and chaos. One of the most expensive neighbourhoods to live in Tokyo, Ebisu, along with neighbouring Daikanyama, is known for its trendy boutiques and cafés. 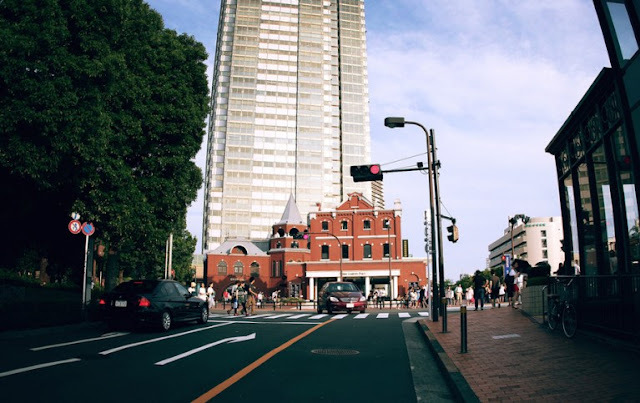 Whether you love chilling out in parks, shopping at fashion forward boutiques or having pastries over afternoon tea, Ebisu would be an ideal district for you. A common misconception is that Yebisu Beer (one of the most, if not the most delicious beer in Japan) was named after this neighbourhood. In fact, it’s actually the other way around. Speaking of which, do check out the Museum of Yebisu Beer while you’re there. People-watching over a refreshing mug of Yebisu draught beer is one of the best around. Other notable Sapporo Breweries in the area includes the Beer Museum Yebisu and the Tokyo Metropolitan Museum of Photography. Nakameguro is the hippest neighbourhood in Meguro, and one of the most stylish in all of Tokyo. The neighbourhood has a distinct European feel to it, and is known to be a centre for fashion, art, culture, and of course, food. Nakameguro’s laid-back and European atmosphere sits well with us, and we really enjoyed the trendy boutiques, cafés and galleries. Vintage fashion and furniture lovers will go absolutely crazy over here, with Nakameguro’s wide selection of vintage wares on sale. 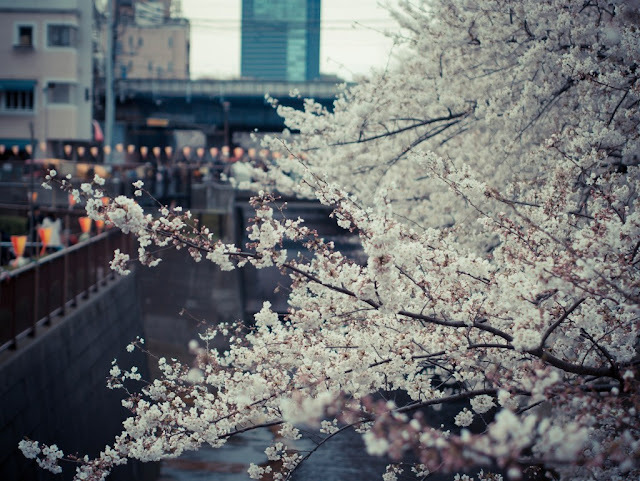 Visit during cherry blossom season and you’ll get to not only admire the beautiful scenery, but also enjoy the festivities in the area, with food stalls lining the streets during this period. Located and near the bright lights vibrant district of Roppongi, Azabu Juban is on the contrary, a quiet low-key neighbourhood of Tokyo. This slow-pace enclave boasts trendy cafes and fashionable boutiques as well as century old establishments and shops. 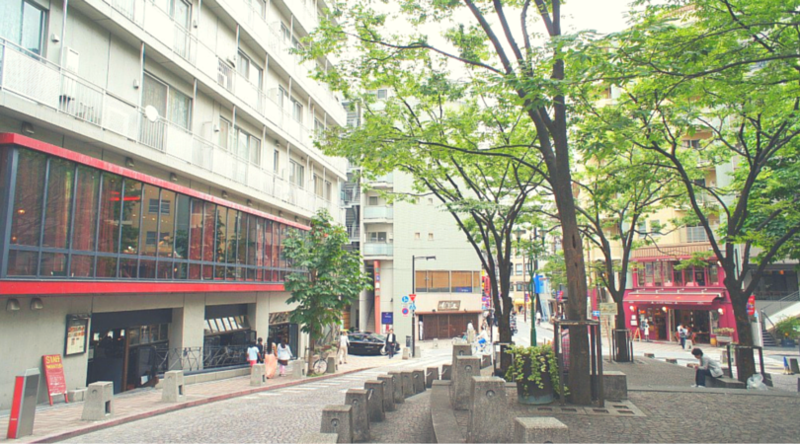 This meeting of old and new gives Azabu Juban an eclectic vibe that is popular with youths and tourists. If you are in the area, don’t forget to make a pit stop at Abe-chan, a super popular yakitori place that’s been around for decades. The restaurant has a pot of sauce at the front of the shop has been around for 70 years! Other places include Naniwaya Souhonten for its Japanese ‘Taiyaki’ pancake with sweet red bean filling and Tanuki Senbei, a shop selling fresh rice crackers since 1928.